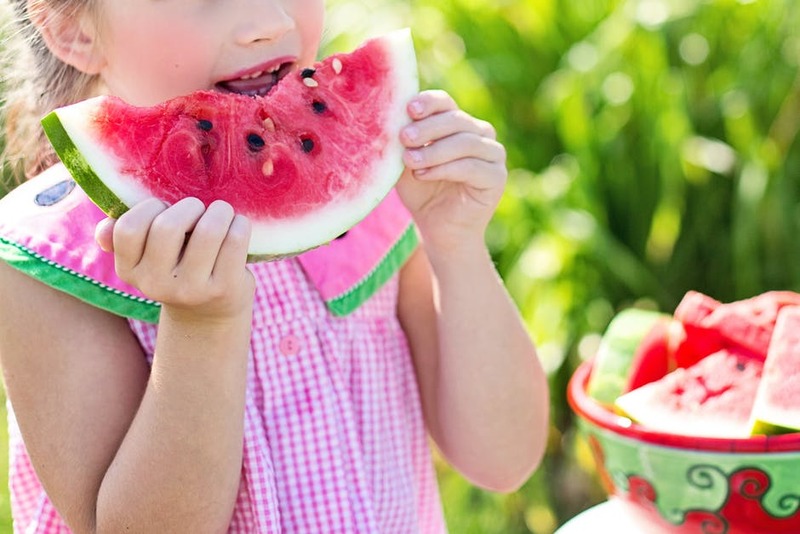 How to Impart Health Eating Habits onto Your Kids - Mummy's Gone Mad! | Mummy's Gone Mad! The eating habits you pass onto your kids will always begin with your own influential habits. Committing to learning about different types of food, and finding ways to pass your knowledge down to your kids, will help lay the groundwork for optimal health. Learning about nutrition is an empowering process where you have the chance to improve your own overall health, as well as set your kids up for a long life, rich in vitality through healthy food choices. With one in five school-aged children (ages 6 and 19) now suffering from obesity in America alone, it’s vital that we instill correct eating habits in our children at a young age. While it might be quick and convenient to pack your kid’s lunchboxes with processed snacks before racing to the drive-thru for breakfast, this only creates a craving for foods that are high in salt, fat or processed sugar. There are ways to incorporate healthy eating habits early on in your kids’ lives, and they’re never too young to start! While your kids have finished for the day at school, the learning doesn’t need to stop. Involving your kids in the cooking of meals or grocery shopping are not only great bonding activities, they’re also great opportunities to teach them about nutrition. Adapt language phrases for their specific age group to allow them to learn in their own unique way about what they’re eating, rather than just serving the food on their plate. As a parent, the reward comes when your kids begin to understand that processed foods equal low energy, and nutritionally dense, whole foods will have them feeling like their favorite superhero. Finding a good website boasting top superfoods is a great way to source the most nutritionally dense options to add to their meals. Of course, parents have been trying this method since the dawn of time! But it’s never been easier to incorporate hidden vegetables into meals. It won’t take long to see that there’s a never-ending array of recipes available online, brought to you by all the creative next-gen parents. Hiding vegetables in meals is not just a sneaky parent mind game! Rather, once you’ve served a meal that your kids are happily digging into, you can ask “I bet you can’t guess what mom’s hidden in here?” Try recipes like avocado chocolate mousse, where grown-ups even have a hard time believing that avocado can be a base for this delicious and nutritious dessert! This has always been age-old advice for selecting the healthiest food sources available. Kids, in particular, will love to see all the different colors on their dinner plates. The best rainbows come in the form of healthy salads where you can add dressings or sauces that your kids are already familiar with. You can also create rainbow fruit bowls or fun fruit skewers. You’ll probably find your kids will be much more drawn to these bright colors. Don’t panic when your kids have been out at a birthday party, coming home bouncing off the walls from an absolute feast of junk food. The important part is instilling an overall healthy diet through mealtime at home. Kids are, after all, allowed to be kids! Finding the right balance for what works for you and your family will create a solid foundation for their future eating habits.